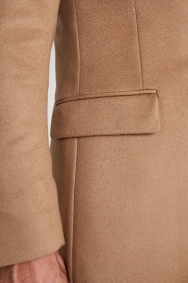 Rely on tailored cashmere when the weather turns. 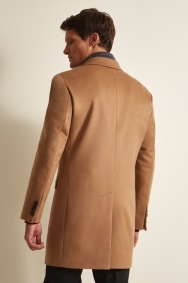 Present a polished appearance in any weather with the help of this luxurious overcoat from Savoy Taylors Guild. 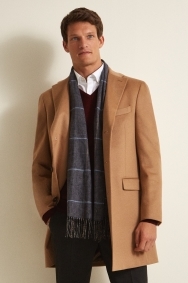 Made from fabric selected for its warmth and softness, you’ll be sharply dressed for the office or evenings out. 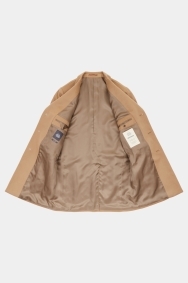 It’s cut for a tailored fit that’ll lie snug next to a jacket and create a contemporary, frame-flattering profile. 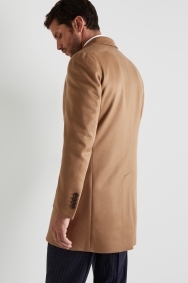 This coat’s camel tone is ideal from bringing colour to dark suits on overcast days. A patterned scarf will add extra warmth and vibrancy. Poor fit - Too tight in sleeves & shoulders.